Durable heavy duty nylon case with firm 5/8" thick padding. Includes hand grip, shoulder strap and exterior zippered storage pocket with separate bow sleeve. 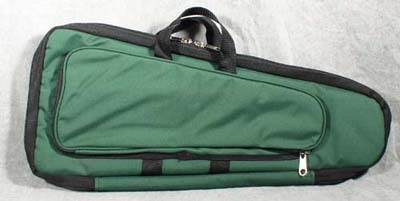 BP-CX Sidewall style case also holds psalterys up to 22" long but allows for greater depth (inside dimensions are 22" long, 9 " wide, 2" deep). Black only. 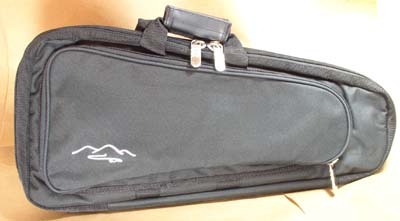 BP-CLX Sidewall style case holds up to 26" psaltery (inside dimensions are 26" long, 10" wide, 2 1/2" deep). Dark green with black trim. BP-B TK O'Brien's Guide to playing the Bowed Psaltery. Standard notation and number & letter tablature. 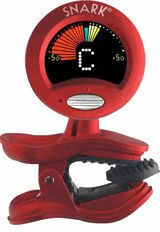 Chromatic tuner. 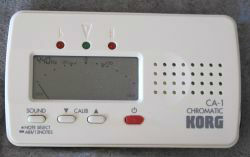 Korg Ca-1 chromatic tuner with easy to read VU meter for automatic mode. Also has built in 12 note reference tones. Can be used for many chromatic instruments . Pitch detection from C1 - C8. Built in mic. Also input jack for pickup. 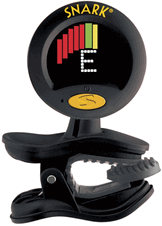 Tilt slot on back allows you to insert a plastic card to angle meter for easy viewing. Two AAA batteries included. 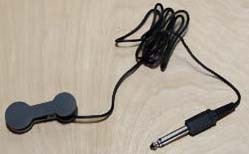 ET-P1 Universal Pickup with clip-on mic . N-FW Flat wrench. Shown left. 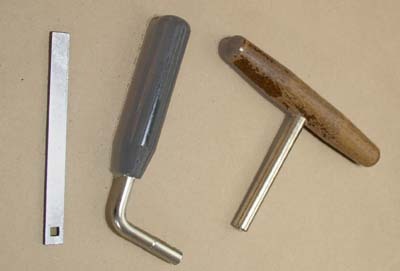 N-DW Gooseneck handle with square tip. Shown center. N-TW T handle with star tip. Shown right.